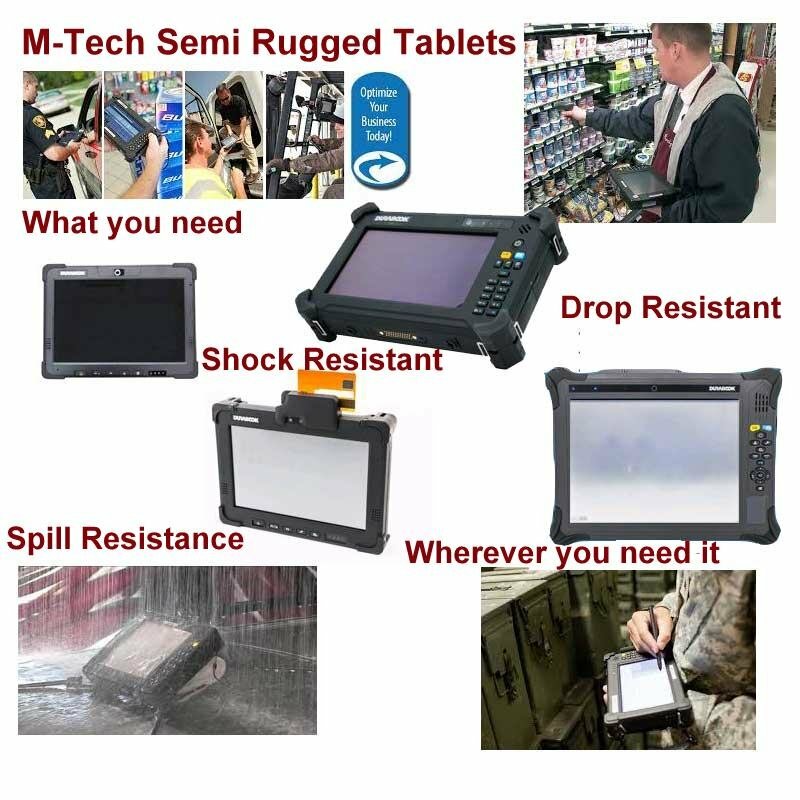 For a short while M-Tech has a one time only Semi Rugged PC Tablet Blowout sale. We are selling these just over our cost to determine which models will become full time products in the M-Tech Tablet lineup. This sale ends when we run out of inventory. After the inventory is gone M-Tech will tabulate which models were preferred by our customers and those models or current version of those models will be sold full time by M-Tech. Of course the prices will be higher, so right now while we have inventory, cast your vote for which Tablets become part of the elite M-Tech lineup. Are you looking for a PC, but need more flexibility and portability? Take a look at our offering of Tablet PCs. If you don't find what you're looking for, give us a call. We're here to help you any way we can to give you the best customer service and product selection as possible?